The anti-inflammatory effect of andrographolide is widely accepted; however, its exact role in reproductive toxicity requires further elucidation. The embryonic stem cell test (EST) is a promising system for detecting the reproductive toxicity of drugs in vitro. In this study, we applied a prediction model to our EST data after classifying andrographolide according to published criteria. The possible mechanism of andrographolide reproductive toxicity was also studied. Reproductive toxicity of andrographolide was evaluated in vitro EST model and in vivo mouse model. Human embryonic stem cells (ESCs) were cultured with different concentrations of andrographolide with or without N-acetyl-L-cysteine (NAC). Cell viability was assessed with MTT assay, and reactive oxygen species (ROS) level was measured with DCFH-DA assay. Gene and protein expression levels were measured with qRT-PCR and western-blot, respectively. 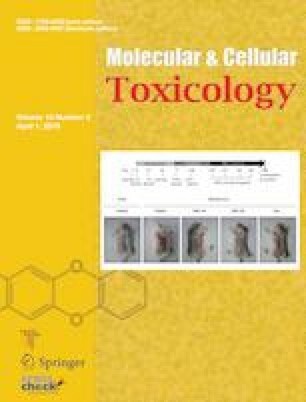 Results showed that andrographolide exhibited strong reproductive toxicity according to the prediction model of the EST and mouse studies. An increase in ROS levels, damage to mitochondrial membrane potential, and induction of caspase-3 were observed in the andrographolide-treated human ESCs. Scavenging of andrographolide-induced ROS by NAC blocked these activities. Western blot and qRT-PCR analysis revealed that the nuclear factor erythroid-2-related factor 2 (Nrf2) protein and its target antioxidant genes were up-regulated after andrographolide treatment at certain concentrations. Furthermore, NAC treatment significantly increased the activity of the Nrf2 signaling pathway. We demonstrated that andrographolide is a drug with strong reproductive toxicity, which resulted from ROS-mediated oxidative stress. In addition, the Nrf2 pathway appears to be involved in the NAC protection of human ESCs against andrographolide-induced cell apoptosis.